Versus originally premiered in 2008 with a unique live debut at La Cité de La Musique, Paris, where Carl Craig was joined by ‘Les Siècles’ orchestra of Paris, the techno mastermind Moritz von Oswald and the piano prodigy Francesco Tristano. The performance, one of the first of its kind to combine electronic and classical composition, received five standing ovations and had over 1 million views online of the original filmed recording. Now, legendary Detroit imprint, Planet E, joins forces with InFiné to bring Versus for an official album release in March 2017. 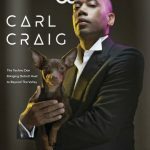 Produced by Carl Craig, the Versus album mixes both orchestral and electronically enhanced versions of Carl Craig’s music in a ground-breaking techno collection of eight-tracks adapted for orchestra. 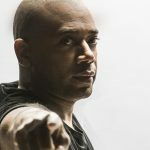 The Versus Synthesizer Ensemble live show is also planned, where Carl Craig will be joined on stage by five musicians, together interpreting the music from the album on to a synthesizer wall. The first tour dates will be announced in January 2017. • Listen here for the world exclusive of two of the album tracks – ‘Sandstorms’ and ‘Desire’ on Benji B’s BBC Radio 1 show. • Click here to see Carl Craig ‘Al Les’ put to filmed footage from David Attenborough’s Planet Earth series. mixed by Benji B, the footage also features music from Actress and Flying Lotus. • Click here for an online Electronic Beats Slices feature of a recording session for Versus in 2010, at the legendary Studio Dayout in Paris.